We are the Shawnee Mission Northwest (SMNW) Cougar Robotics Team. We are based in Shawnee Mission, Kansas. 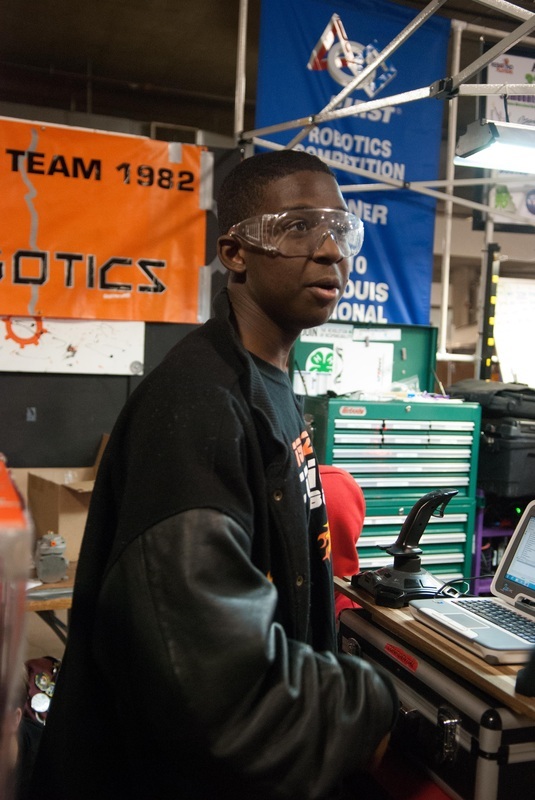 Our goal is to encourage high school students to enter the fields of science and technology. Click on the link below to learn more! The FIRST mission is to inspire young students to become leaders of science and technology through exciting mentor-based programs. These programs endorse skills that foster well-rounded life capabilities including self-confidence, communication, and leadership. 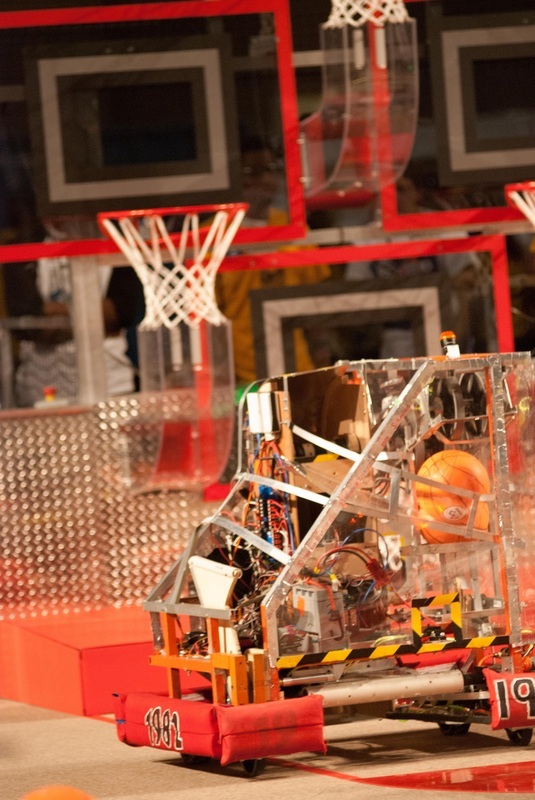 The FIRST Robotics Competition has announced the 2014 game theme: Aerial Assist. 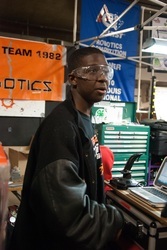 Our six week season began with immediate action in brainstorming and robot prototyping. We look forward to participate in the Greater Kansas City Regional and to hopefully raise enough funds for a second regional registration. 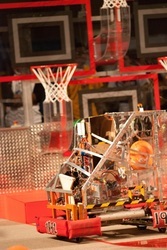 To learn more about the game rules, visit the our Aerial Assist page and the official FRC game manual. More information will be posted as the season progresses. 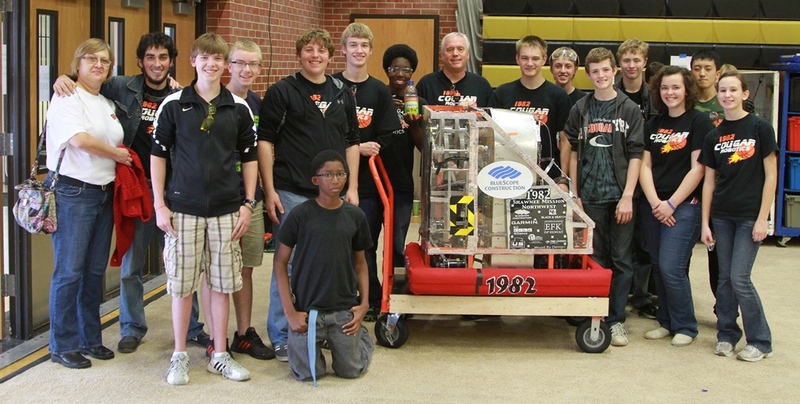 Last year our team competed in the 2013 FIRST Robotics Competition in the Greater Kansas City Regional. We were very grateful to any and all mentors who were able to make this a wonderful year. Last year our team was composed of 20 kids and 13 mentors. We made it to the Quarter finals, but unfortunately lost to the eventual champions. Thanks for cheering us on! For more information on how last season went, click here for the full article. We would like to recognize Black & Veatch, Kyle Vogt, and our other Current Sponsors for their continued support of our team. Because of their funding, we are able to express creativity and build invaluable skill sets throughout the FRC build season. Without their support, we would not be able to build or compete. We personally thank these sponsors for their support.